Sets of these often updated reference books are not as useful as they used to be, since the advent of the computer. This guide is about finding the value of Encyclopedia Britannica encyclopedias. I have an Encyclopaedia Britannica published in 1963. It also has a complementary bible and two year books as added extras. It is in its original bookcase. Is it worth any money or collecting? I <might> be interested in purchasing them if the price is right. What is your thinking on price? I have Britannica encyclopedia volume 1-24, additional volumes of year 1961-1967 all in the original cabinet. How much is it worth? 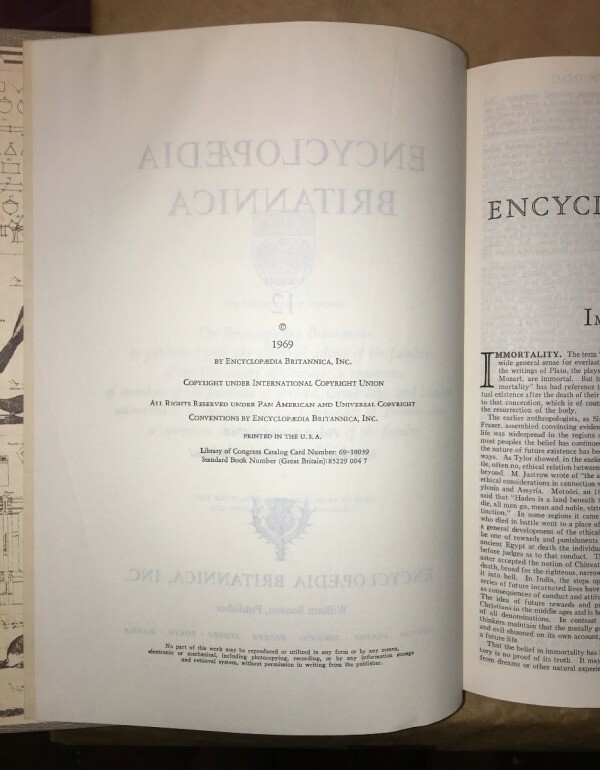 Is there any value or worth to the 50th anniversary edition of the Encyclopedia Britannica? 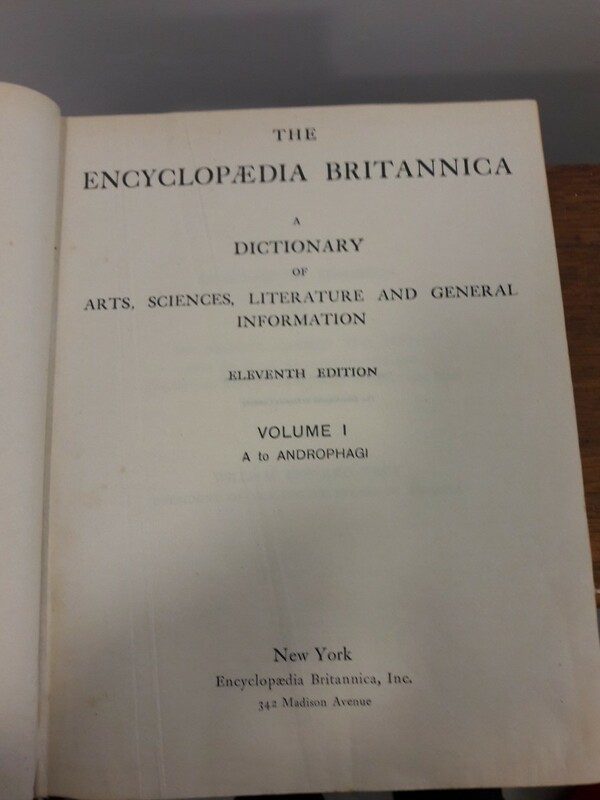 I have volume 13 of a set Encyclopedia Britannica, copyright 1948. It is in n perfect condition. What would it be worth? Many people have old books they think are valuable and would like to sell. Most old dictionaries, references etc., have very little value-a few dollars at most. Encyclopedias dated after 1923 are essentially worthless but crafters may be interested for the old pictures. Goodwill, Salvation Army, etc., receive donations of tons of old encyclopedias but send them to recycling centers or dumps as they cannot use or sell them. We have the whole set, 1974 Britannica Encyclopedias 1-23 and Index, which was handed to us. I am wanting to know how much they would be worth. Encyclopedias that are +100 years old are valuable to collectors as long as they are in good condition. Depending on the year of the book, condition of the cover and pages will determine the price. However, encyclopedia that only date back to 1974 have no value whatsoever. If you try to donate the books to a school, library, or thrift store, they won't accept them. These institutions receive so many encyclopedias that they normally end up sending them to a paper recycle center. Selling the books online will prove rather expensive when you try to ship them to the buyer. Your best bet is to put these out at a yard sale and see if anyone would like to buy them from you. If the books are nicely illustrated, a few crafters will take the books to make crafts with them. It is very hard to get rid of these books because they have no real value to people. All the information is readily available online and people no longer need these types of reference books. 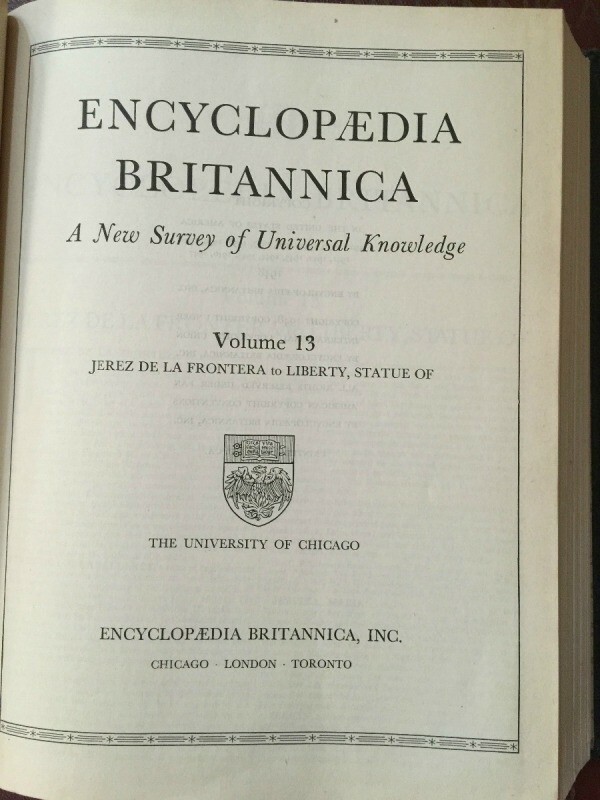 I am trying to determine the value of a full set of 1944 Encyclopedia Britannica. Great books but the value is low and only a few years/editions are selling for very much money. Generally, age of books mean the value increases but this is not usually the case with encyclopedias. As a rule encyclopedias were purchased for a family seeking to give their children an advantage by having "research" books right at their fingertips but the Internet has made information so easily available that students much prefer this media. 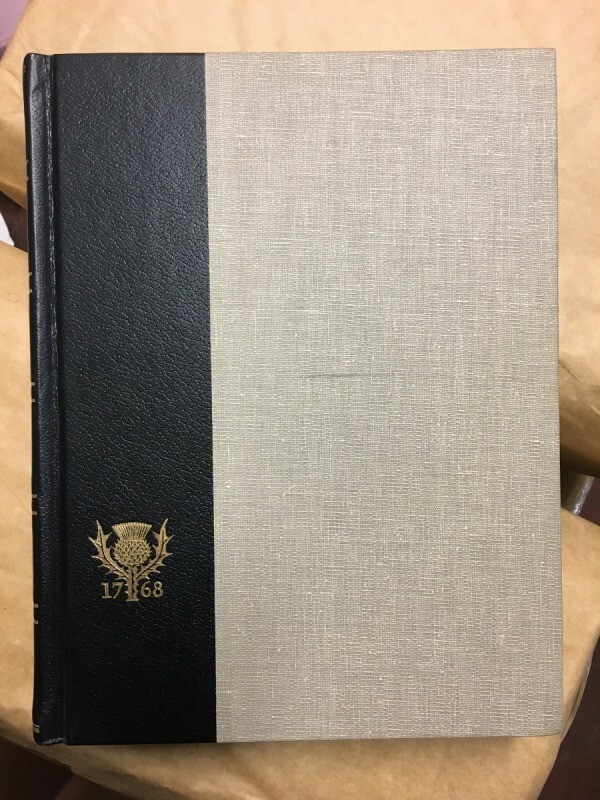 Your 1944 set is not one of the sought after editions and you will probably have a difficult time selling it even a low price. Here is one set listed on eBay that has been listed a long time but will most likely never sell. The price has been reduced several times. One problem with this set is 2 volumes are missing and high shipping cost. Shipping is always expensive and very difficult for someone to pack. If you are interested in selling your set you might want to list it on your local Craigslist as you can ask any starting price and if no one shows an interest you can lower the price. This way there is no shipping involved. Here is a typical listing in a "local" auction. You may be able to sell your set for some money but if not, you can try donating to your local library book sales. Sometimes it is even difficult to donate these sets free as they have a hard time selling them also. How can I tell how old a set of three Britannica encyclopedias are? They're a set of three, volumes 1, 2, and 3. 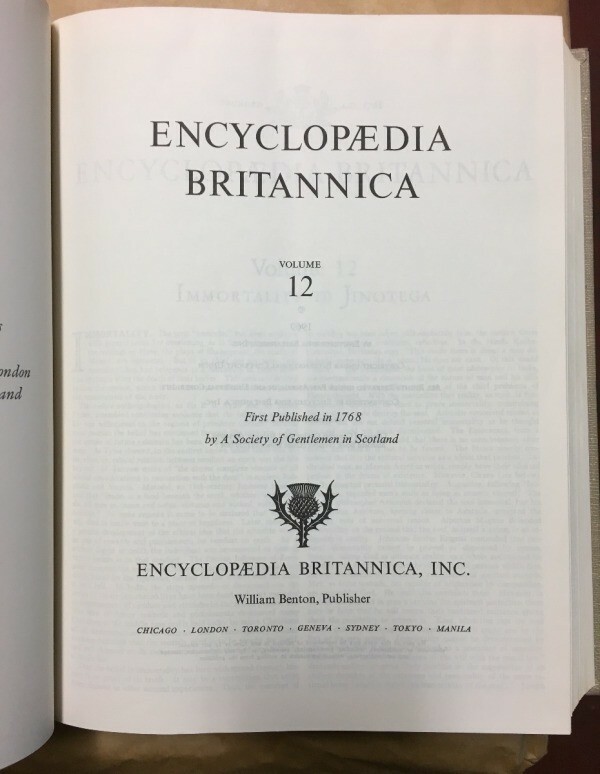 We found in prime condition some Encyclopedia Britannica, volume 3 1768, publisher William Benton. The only problem is there is not a complete set. These are beautiful books; they look like they have never been used. 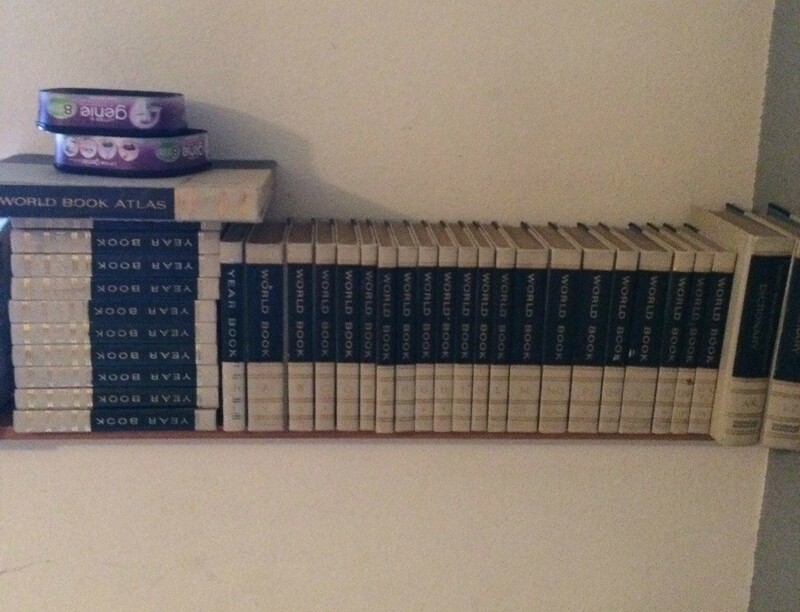 How much would these books be worth, considering they are not a full set? Hey Dianna, do you still have the books? mail me at mrmima AT yahoo.de please. 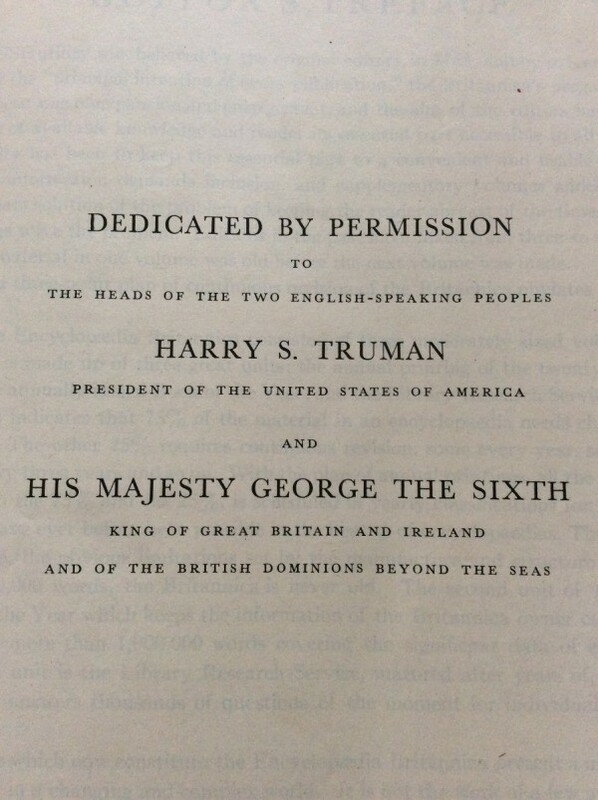 I have the 1952 edition, in very good condition, 28 volumes in all, including the atlas, a two volume dictionary, and book of the year 1952. Does anyone have an idea of its worth or who might be interested in it? What is the value of the 11th Ed. Britannica Encyclopedia in 16 volumes? It is in very good condition. The 11th Edition published in 1910-1911 is popular with collectors but condition and type of cover has a big impact on value. The 11th Edition is available free to view over the Internet and of course free to download and print any part so for the average person/student this is how they would use it. This edition is also available on DVD for only a few dollars so this makes it a set mainly for collectors. As to value, the asking prices range from $110 to several thousand dollars so you would have to determine where your set fits in those categories. Several sets are listed on Amazon but more are listed on eBay so you can review those sites to review the sets descriptions and the ASKING price. Asking prices are just that and does not always reflex the true value as the value is only what someone will pay. Some of these sets may have been listed on these sites (or both sites) for over a year and some will never sell. Sellers just list the books and hope that someone will one day pay what they are asking. Shipping is always a problem so many sellers will list their sets as "pick up only" which just means they are available to buyers in their area/city. You can check these sites in the future to see if there are any changes or sales. 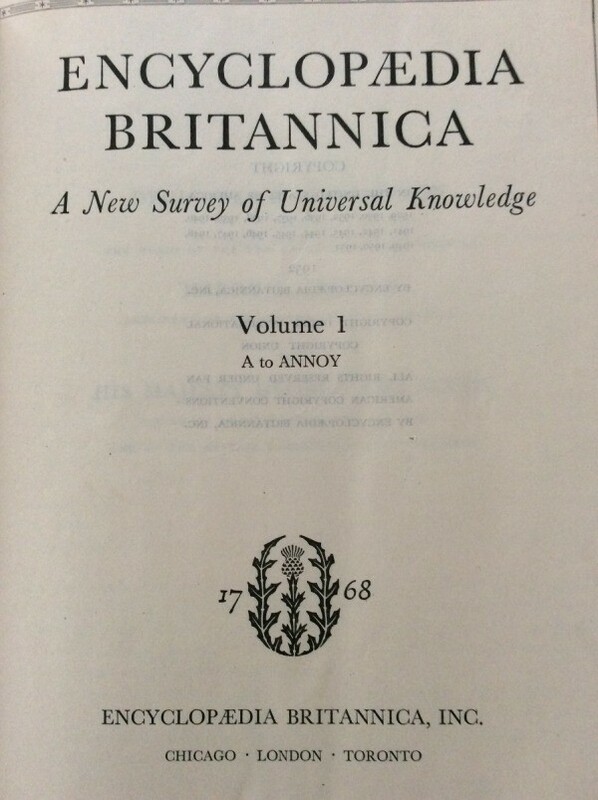 I have a set of the Encyclopedia Britannica (1969), 23 volumes plus the index. It is in excellent condition. I am trying to figure out a realistic selling price for the set. Any ideas? Research on the year - 1969 - shows some very low prices and some very high asking prices but selling prices are low. You can continue to research eBay, Etsy, Amazon and other Google sites as well as your local Craigslist but sets are very slow sellers at any price. Many sellers keep relisting their books for months and months and many never sell. Here is a link to listings presently on eBay and the books that sold (sold is in green numbers) so you can see there are not a lot of sets sold for very much money. No 1969 set was sold over the past 4-5 months although there are several listed at different times. You should notice that almost all sets listed for sale have shipping set with "pink up only" which means they are for sale in their local area only as shipping is much too difficult and expensive. This limits the potential buyers to where you live so the price is basically dependent on how large a city area your books are located. On another site in 2016 a set sold for $22. The value of these sets is an often asked question on ThriftyFun so maybe you would like to look over some previous answers for ideas. I have a set of 24 1955 Britannica Encyclopedias. I just wonder if they have any value or can I just throw them out? You do not say the condition of your 1955 Britannica Encyclopedias or the type of binding and those are two factors that help determine value along with age/year/edition and the area/city books are located. It does appear that the 1955 set is still selling but of course we have no way to tell how long a set was listed on a site before it sold - months/months or even years in some cases and of course, many sets are removed because they never sold. You can check eBay, Etsy and Amazon as well as your local Craigslist for a set like yours to determine if you would like to try to sell. Two sets have sold on eBay since the first of 2018.. They sold for $169 & $139 but both had free shipping which would lower the sale by $15-$25. I would suggest you research more but you may want to consider listing on your local Craigslist as you can ask whatever price you want and lower it if no one shows an interest. Books sometime sell better if the buyer can see the books and there is no shipping involved. Be sure to have good pictures and give a good description wherever you decide to list. What is the value of a 24 volume set with cabinet and world atlas, copyright 1958? Today any book that isn't over 100 years old is considered old and obsolete. The set of books you have is online and is updated all the time. There the information inside is obsolete and nobody will pay for them. You might be able to find a crafter who is willing to pay $25 for the set to tear them apart for their craft projects. 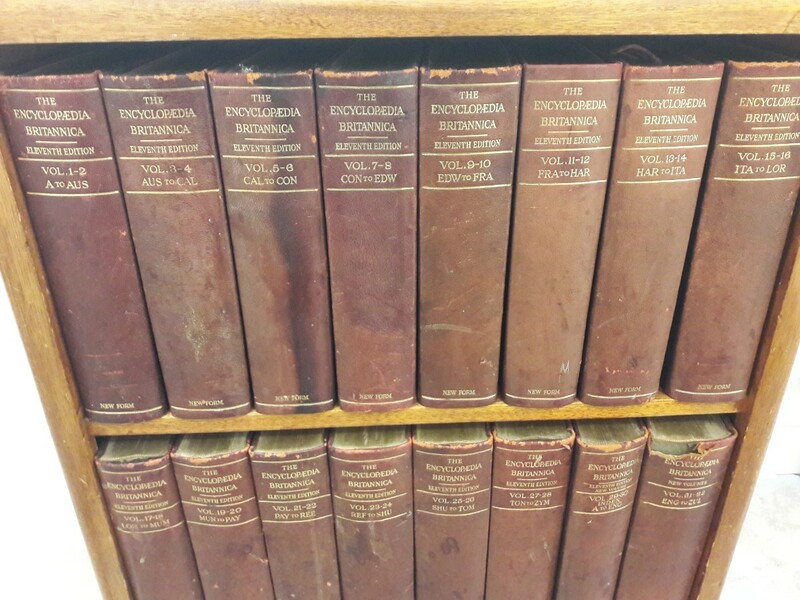 What's the value of a 1990 set of encyclopedia Britannica? You can check online for old book collectors for price possibilities. Everything is now online and updated constantly so old books are just that-old. 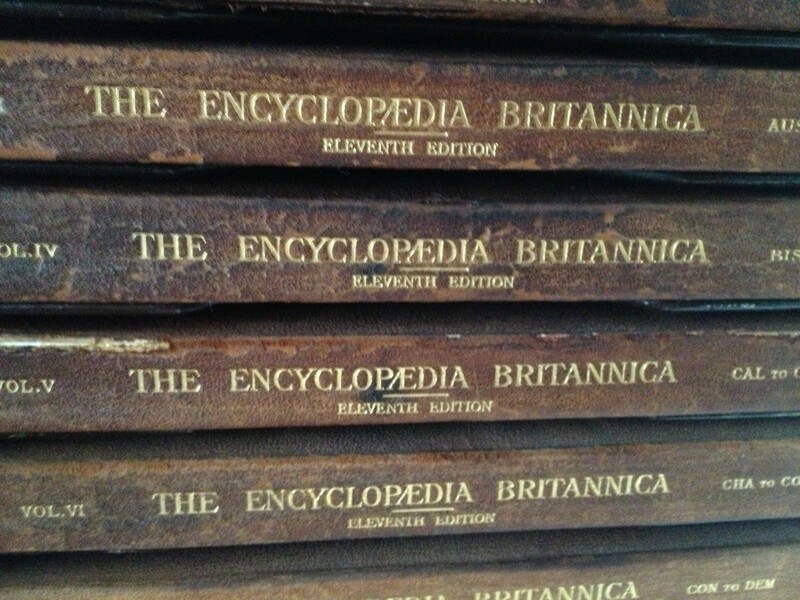 I have 26 volumes of the 1905 edition of Encyclopedia Britannica with supplements. About 10-15 % have binding damage due to shipping. All are wrapped in brown paper. 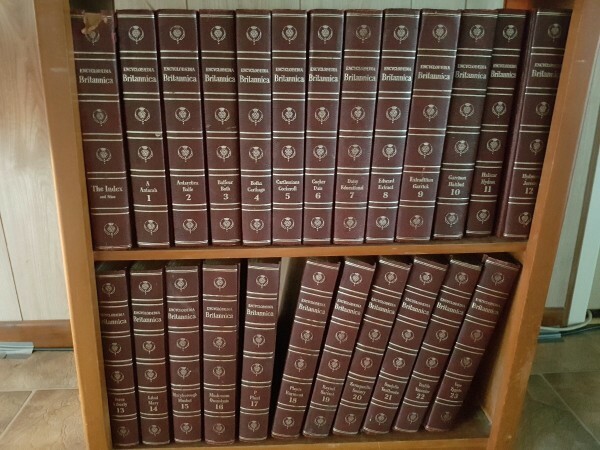 How much is a set of Britannica Encyclopedias published in 1989 worth? Where can I sell them for a good price? Old encyclopedias have no value. You will be hard pressed to give them away. Charities and Thrift shops will not take them. No one wants them. If you are lucky, you could advertise them on something like Freecycle, and perhaps you might find someone who wants them for crafts. I have seen people make sculptures or lamps out of them. You will never sell them. 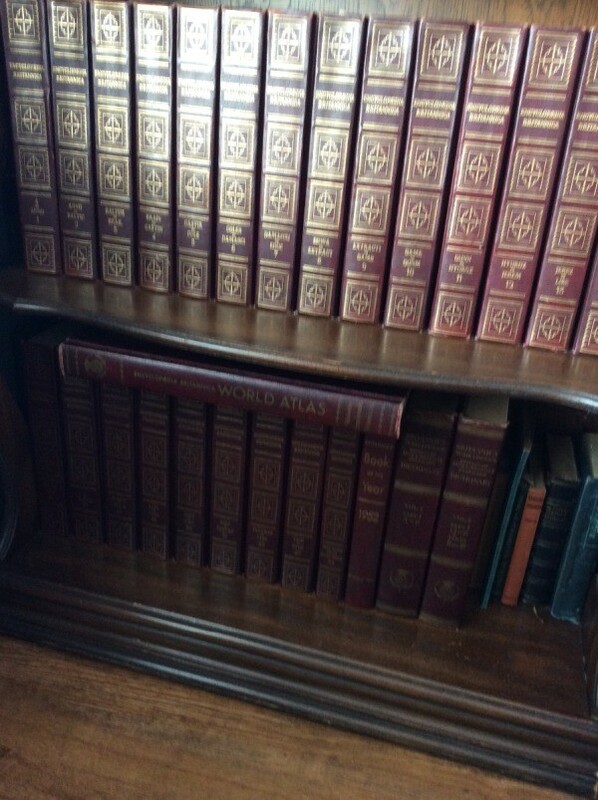 I have a full set (30) of adult Encyclopedia Britannica (great condition). 1973 15th edition. What are they worth, if anything ? I have a set of 1895 Britannica encyclopedias in rough shape. Are they worth anything? There is no other date in the books. Where can I obtain a 1797 Encyclopedia Britannica? 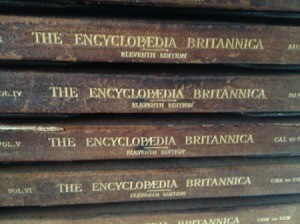 I have a set of the New Encyclopedia Britannica, with 15 volumes. It is leather bound. What is the value of the set? Can anyone tell me what they are worth? I have a full set.